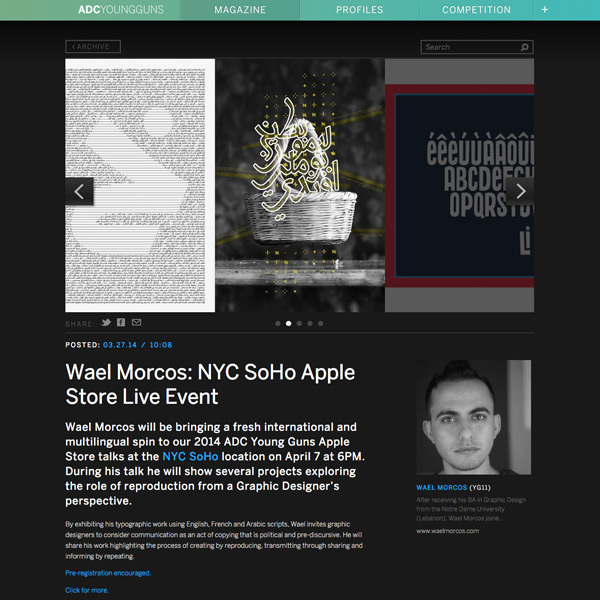 Join C&G's Wael Morcos at the Apple Store in SoHo this Monday. Wael will be presenting his international and multilingual approach to graphic design as part of ADC Young Guns spotlight on creative professionals. To pre-register for this event go here . To learn more about Wael's work and initiation into the ADC Young Gun Club go here .